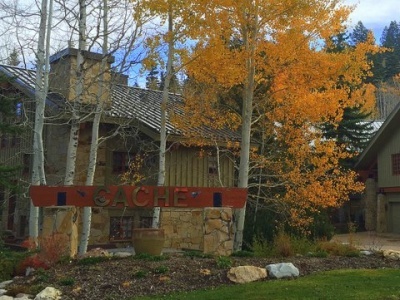 Cache at Silver Lake is a luxury ski-in ski-out community in Deer Valley Resort area. 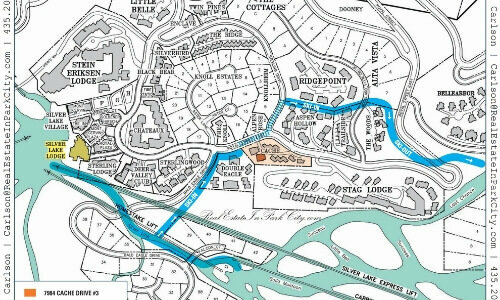 Cache is considered a condominium on the Park City MLS but it feels more like a townhome and is a planned unit development. There are twelve total units. Unit #5 is four bedrooms and five bathrooms, unit #11 is four bedrooms and four bathrooms, and the remaining units are three bedrooms and four bathrooms. The master bedroom is typically on the top floor but you could make a second-floor master, and all units have a two car garage. 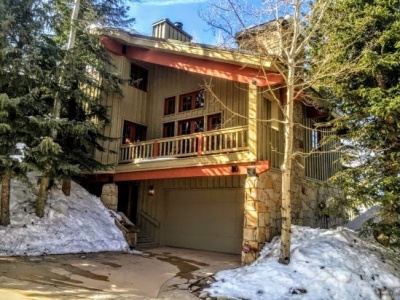 The owners of Cache at Silver Lake tend to hold on the properties for a longer period than normal - from 2006 to 2016 there have been eight sales in Cache at Silver Lake.